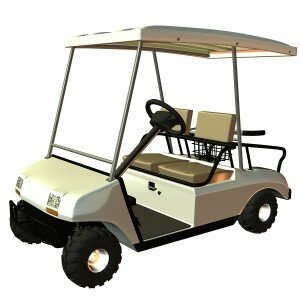 The Michigan Supreme Court is sending a golf cart dispute back to the first tee. Ken Bertin and Doug Mann were playing at Farmington Hills Golf Club in May 2013 when Mann accidentally hit Bertin with a cart. Bertin filed a lawsuit over his injuries. During a game, Ken Bertin and Doug Mann were playing the 17th hole when Mann struck Bertin near the green. Bertin was struck in the buttocks, knocked forward and landed on the ground. Bertin said that when he rolled to the right, he was struck a second time and the golf car rolled over his leg. Bertin filed a lawsuit over his injuries. Mann maintains he never saw Bertin in front of the cart until it struck him. Mann says the cart struck Bertin in the lower legs, knocking him down. Mann doesn’t recall the cart striking Bertin a second time. According to the appeal, Bertin filed suit in April 2014. He alleged Mann acted with active negligence and without due care and caution when he struck Bertin. Mann denied the allegations within the complaint and raised two affirmative defenses. The first was that the event was an unforeseeable accident and the second was that Bertin’s own negligence or comparative negligence was the sole or contributing cause of the his injuries. Bertin filed a motion in limine before trial and requested the trial court “hold that defendant was negligent as a matter of law on the basis of his deposition testimony so that the case would proceed to trial only on the issue of damages.” The defendant argued the motion was improper, indicating it was really an untimely motion for summary judgment on the issue of negligence that cited a lower, incorrect standard of review. Mann asserted that reckless misconduct was the applicable standard of care because the parties were co-participants in a recreational activity when the injury occurred. The case cited was Ritchie-Gamester v. City of Berkley, 461 Mich 73; 597 NW2d 517 (1999). The trial court denied Bertin’s motion and noted that it was a factual issue that should be decided by a jury. The trial court didn’t address the standard of care applicable to the case. The issue of standard of care continued to be disputed by both Bertin and Mann. The trial court eventually agreed with Mann, that the reckless standard applied in the case. The jury found the defendant not guilty. Bertin appealed the verdict, citing that the incorrect standard of care was applied to the case. The court of appeals sided with Bertin and vacated the jury’s verdict. The case was remanded to the trial court for application of ordinary negligence. Mann sought leave to appeal the Court of Appeals decision, citing the court erred in determine ordinary negligence is the standard of care applicable to the case. The state appeals court threw out the verdict, saying the threshold was too high. Last year, the Supreme Court agreed to hear oral arguments in the case. The issue before the court: Is this a case of ordinary negligence or a higher legal standard known as reckless misconduct? The Golf Association of Michigan and Negligence Law Section of the State Bar of Michigan were invited to file amicus briefs to assist the court in its decision. In a unanimous ruling last week, the state Supreme Court ordered Judge Martha Anderson to take another swing. The court says Bertin deserves a new trial if the judge finds that the risk of being hit by the cart wasn’t reasonably foreseeable.